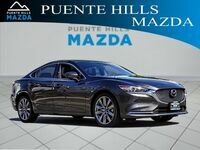 It is time for our latest comparison, which is between the 2018 Mazda6 Sport and the 2018 Nissan Maxima S. We did the research for you to make your process easier. 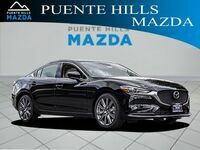 We have compiled information on the prices, engine types, estimated fuel economies, and many features to give you an idea of how these two vehicles stack up to each other. Below you will find some quick facts in our side-by-side comparison chart, with more details to follow. 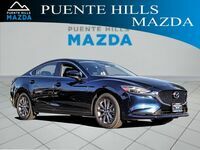 Everything that we have listed refers to the standard Sport and S trims, other than the comparably equipped price, which refers to slightly enhanced versions of each vehicle that have similar features and value. 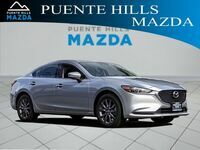 Keep reading to learn more about the 2018 Mazda6 Sport and the 2018 Nissan Maxima S.
While the 2018 Mazda6 Sport is less expensive than the 2018 Nissan Maxima, it still holds its own in terms of available features. 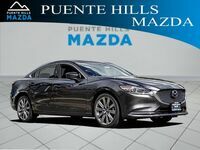 Both vehicles come with a ton of standard safety features, but three safety features that are standard on the Mazda6 Sport are not available on the Nissan Maxima S. Those features are the Blind Spot Monitoring (BSM), the Forward Obstruction Warning (FOW), and the Rear Cross Traffic Alert (RCTA). 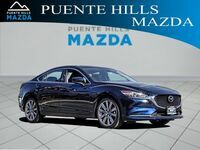 Both vehicles also have similar exterior features such as automatic headlights and Daytime Running Lights (DRL). 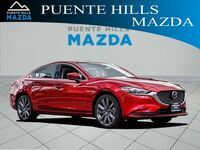 However, the Mazda6 Sport has standard signaling exterior mirrors to indicate turning, something which is not available for the Nissan Maxima S.
Despite having a shorter exterior length and width, which makes it more maneuverable, the 2018 Mazda6 Sport has more MFR passenger Volume and more MFR cargo volume to work with. 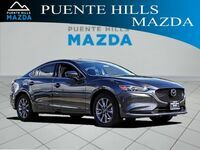 We have the 2018 Mazda6 Sport here at Puente Hills Mazda and an expert sales team ready to show you our current inventory, tell you about our KBB instant cash offer for your trade-in vehicles, and tell you about any other current specials that you may be interested in. 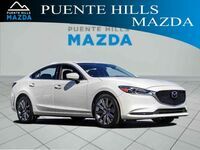 Come into Puente Hills Mazda today to make the switch to your next Mazda vehicle.